The 7.9m Delaware dominates Auckland Motorhome’s (AMH) yard and is impressive both dimensionally and aesthetically, with its unmistakable Fiat Ducato visage, modern aerodynamic body mouldings and attractive graphics. In my experience the interiors of UK-sourced product more often err toward the traditional sort of decor. The Delaware is much more contemporary, with the overhead cupboards arcing stylishly with brushed aluminium handles that close and lock in a single action. The timber is rich and warm but doesn’t overpower the living space, most likely because the generous glasshouse includes the largest Luton window I’ve seen, so the interior is bathed in natural light. It’s open, clean and tasteful. 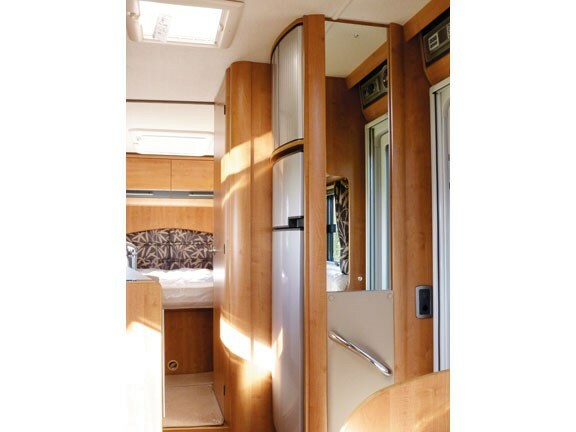 The layout consists of the popular rear north-south bedroom, separate toilet and shower rooms, an L-cove kitchen, and a dining and living area that incorporates the swivelling cabin chairs. Upholstery options vary; the model I tested utilised classy leather upholstery. Alternatively you can opt for more cost-effective and still very tasteful fabric options. The general layout is a familiar one: rear island bed, individual shower and toilet rooms that can be segmented from the main living area and L-cove kitchen. 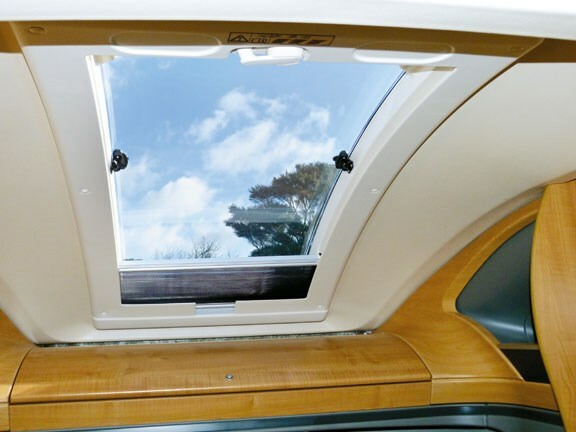 The space across the vehicle isn’t class-leading, but it’s far from cramped and the large glasshouse helps impart a light and airy disposition. The kitchen offers a good-sized four-burner stove, oven and grill so chefs are well sorted, although you’ll have to accept some compromise in out-and-out bench real estate. 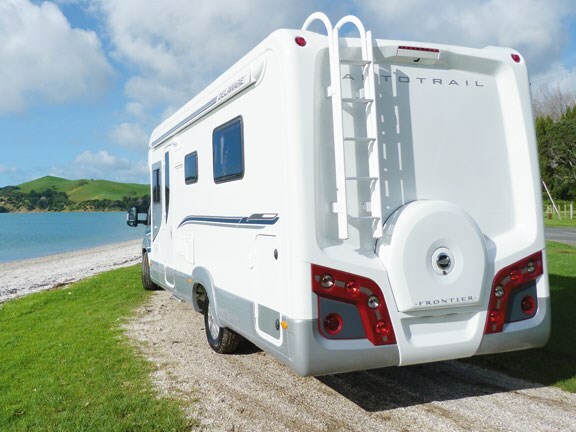 AMH recognises the wants of customers here are different to those in Europe and retrofit 130-litre fresh and grey water tanks over the smaller Euro-spec options, which makes the Delaware better suited for Kiwi freedom camping enthusiasts, as well as a full-size 190-litre fridge/freezer. 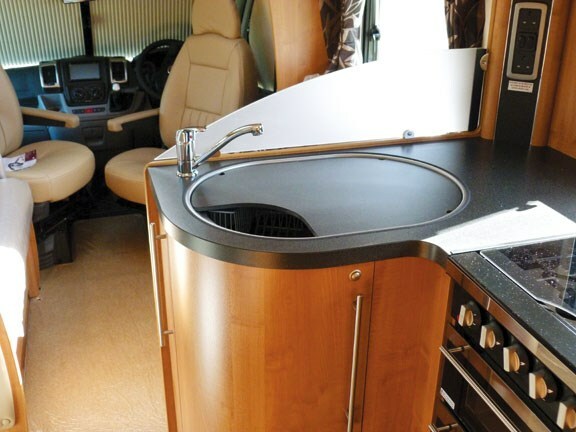 The two swivelling captain’s chairs help create a useable dining area with the help of a smaller affixed table, which attaches to a removable aluminium arm on the left-hand side for laptop use, etc, and a free-standing dining table that can also be taken outdoors for alfresco eating. These are stored in a specific cubby in the Luton and for knick-knack items I found the deep side pockets overhead also handy as temporary storage. The overhead cupboards are plentiful and deep. The bedroom is spacious, with a full-size island bed, room to move around and contemporary cabinetry, which provides plenty of storage. A second television is also an option that’s pre-wired in here. 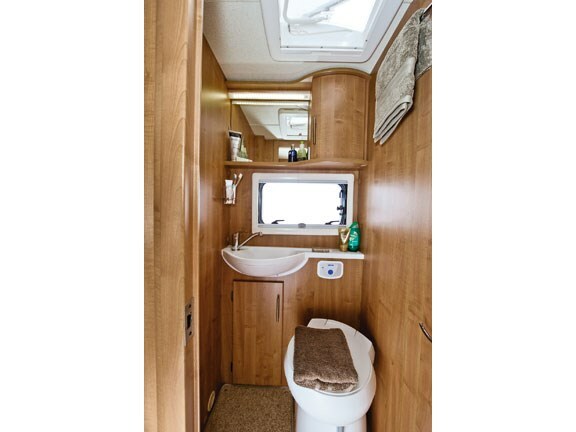 As in any luxury low line worth its salt, the bathroom can be easily partitioned from the main area to create an en suite with roomy toilet on one side and separate shower area on the other. This is proving a hit for our market, with people appreciating the minimal compromise this offers over a home bedroom/bathroom area. In night mode too, the combination blinds/fly screens are great. 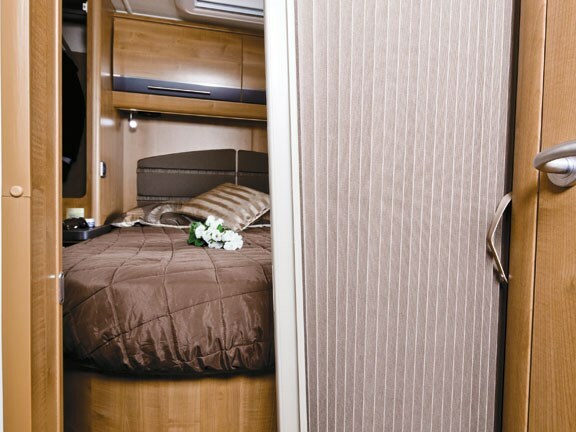 The front cabin area can be quickly prepared for sleeping with the retractable screens that simply lock together magnetically. 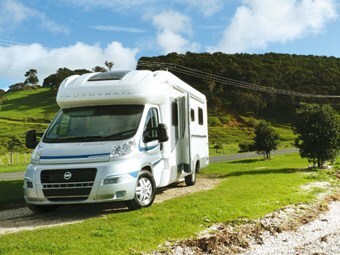 On the road the Ducato 3.0 performs excellently. I drove it extensively, soaking up the ambiance of winding coastal roads, and was impressed with how composed the Delaware is. I held up only the real speeders, and even then only on the narrowest, most twisty sections. The 3.0-litre diesel is more than capable of accelerating with passenger car-rivalling pace and the inherent low centre of gravity keeps corning stability manageable. It’s also a doddle to reverse, with a standard reversing camera built into the snazzy touch-screen audio system. Those who can’t justify cracking that psychological $200k barrier would be wise to check out the Delaware. Depending on the options you care to specify indicative pricing is around $170,000, which – considering the level of opulence – seems great buying.